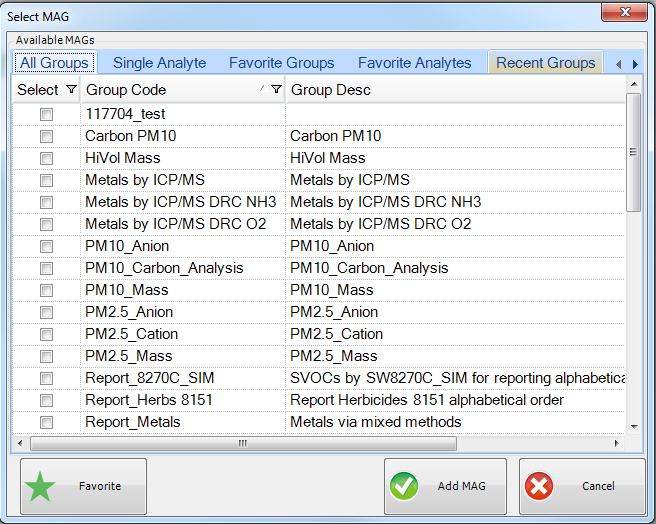 The field samples tab contains COC control options allowing for assignment of sample analysis to the COC. To show the COC control, click Show COC in the upper right corner. If there is SPM or task-based analysis available, it will be shown as that shown above, but the Include check box will not be checked. To assign an analysis to a COC, please select COC from the Current COC drop-down, and check the Include box. If there is no COC, create one using the New button on the COC Tab. Be sure to select the lab when a new COC is created. •Analysis can be only assigned to the same lab as the COC. If a sample analysis has no lab assigned, it can be assigned to any COC as long as the COC has a lab assignment. •If no COC is selected, then EDGE will try to determine a compatible COC. A COC is considered compatible if it is the only one in the current EDD with a same analysis for a different sample already assigned to it. If required analysis is not present for a selected sample, one can be easily added by completing the steps below. 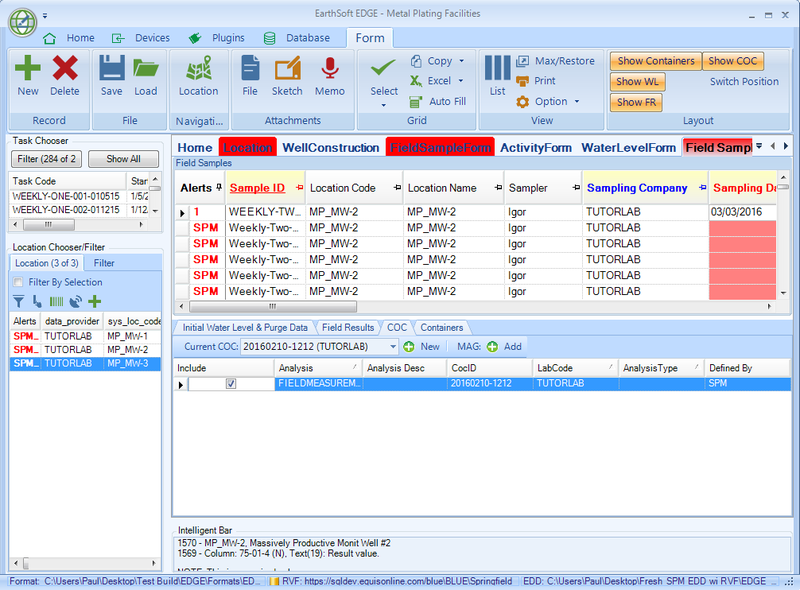 Please contact support@earthsoft.com if you would like to have this feature available in your custom format.